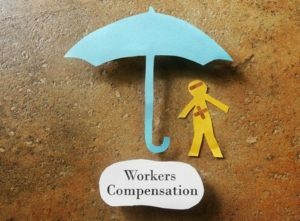 The Best Way to Handle a Workers' Compensation Case - BJE Law, P.A. Workers’ compensation is a very important piece of your coverage as an employee, but it also might be one that you overlook until you need it the most. In general, workers’ compensation is a form of insurance that provides you with financial support if you are injured or become seriously ill as a result of the workplace. The financial support, including payment of medical costs and 80 percent of salary during time off, are given in return for your promise not to sue your employer over your injury or illness. Whether you break your arm, are diagnosed with a respiratory disease, or even suffer an amputation, understanding the process of filing a workers’ compensation claim is of the utmost importance. Workers’ compensation claims can be denied if you don’t ensure your due diligence during the filing process, so be sure to complete all of these steps. First, report the injury as soon as possible. Many places only allow a 30-day window to consider the claim valid, so don’t waste any time. If there are any witnesses who can help support your claim, collect their names and contact information. Seek whatever medical treatment you may need immediately, and be sure to keep precise records of everything that occurs. You may be able to navigate through your workers’ compensation case if your employer agrees that your injury or illness is valid and you didn’t need to miss much work to resolve your health issues. However, there are many situations in which a lawyer becomes necessary to ensure that you receive the compensation you deserve instead of having to accept a denied claim. If your employer doesn’t provide your benefits in a timely manner, fails to cover all of your lost wages and medical bills, or begins to retaliate against you as a result of your compensation claim, it’s definitely time to call a lawyer that specializes in workers’ compensation. An attorney knows how to seek and obtain all the compensation that is deserved in a compensation case. ← Do Postal Workers Sue Over Dog Bites? BJE Law serves clients throughout Hillsborough, Pinellas, Pasco, Manatee and Polk counties. Conveniently located in Westchase, BJE Law is available to serve clients in Tampa, St. Petersburg, Brandon, Clearwater, Valrico, Lutz, Land-O-Lakes, Temple Terrace, Riverview, Bradenton, Sarasota, Lakeland, as well as, clients in Orlando and the central Florida area. Copyright © 2019 BJE Law, P.A.. All Rights Reserved.